Is rain fade affecting your satellite TV reception? It probably has, given the amount of storms the country has experienced lately. If you’re tired of the interruptions that occur when rainfall blocks your satellite signal, we have your solution. This week’s mystery product quickly and easily restores your satellite dish reception. No, it’s not a gigantic umbrella that mounts over your satellite dish. It’s something much better. 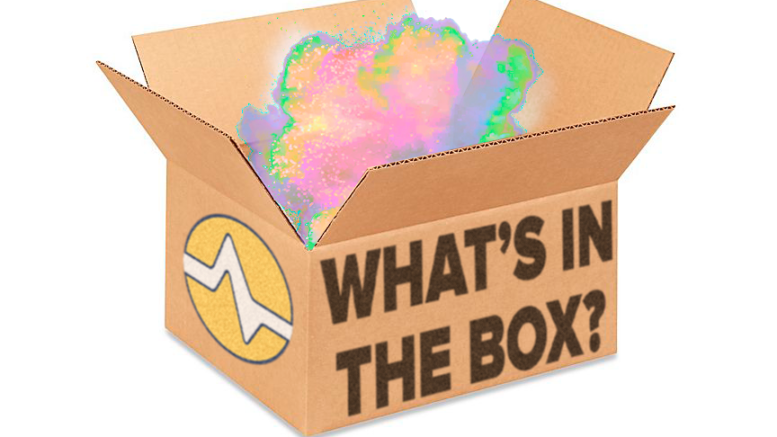 The product in this week’s Mystery Box prevents rain fade more effectively, and it’s easier to apply. Do you know what it is? Introducing Dome Magic rain repellent satellite dish wipes. Just apply one of these single-use wipes to your satellite dish or dome and a protective layer is formed. This helps repel rain fade and signal loss that comes from heavy rains, dew, and show that melts on your satellite dish. A single application of Dome Magic can last from six months to a year, depending on exposure to the elements. This is the most effective and economical way to make sure rain fade isn’t a problem. Absorption: Where some or all of the energy generated when a radio wave strikes a rain droplet. The droplet is converted to heat energy and absorbed by the droplet. Scattering: Raindrops, which are a non-uniform transmission medium, cause energy to be dispersed from its initial travel direction. The signal is either refracted by or diffracted around the water droplet. Apply when air temperature is between 60-110 degrees F (16-45 degrees C). Clean the dome with warm soapy water to remove all dirt, dust, and debris. Thoroughly rinse and dry dome. Wipe dome with alcohol and let dry to prepare the surface. Open Dome Magic packet and remove the towlette. Pour liquid from foil packet onto the wipe cloth. Starting at the top of your dish, wipe dome surface with the saturated wipe cloth using a circular motion for a uniform coat throughout. End Rain Fade with Dome Magic Today! Considering all the rain we’ve already had, it’s best to get some Dome Magic wipes before we head into fall. Solid Signal proudly carries this product in a single pack that contains one wipe. We also carry a double pack, which offers a bigger value. These products are from King, the makers of SeaKing and KingDome mobile marine and RV satellite domes. This means that people who know what it takes to achieve optimal satellite dish reception. Give us a call us at 877-312-4547 and say goodbye to rain fade.